Every night I sit down and have dinner with Kate and Amiee. I think everyone in my family should own the iPod touch so I could join them for a dinner conversation too! That is just sooo sweet. My family is spread all over. It's a good idea to do virtual live time chat. 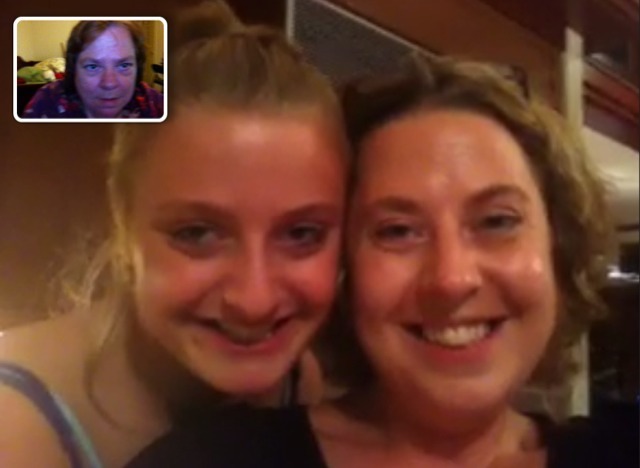 LeAnn we have had so much fun with FaceTime and the new iPod. I sang happy birthday to my Mom in a video I took and sent it right off in an email with that cool little gadget!